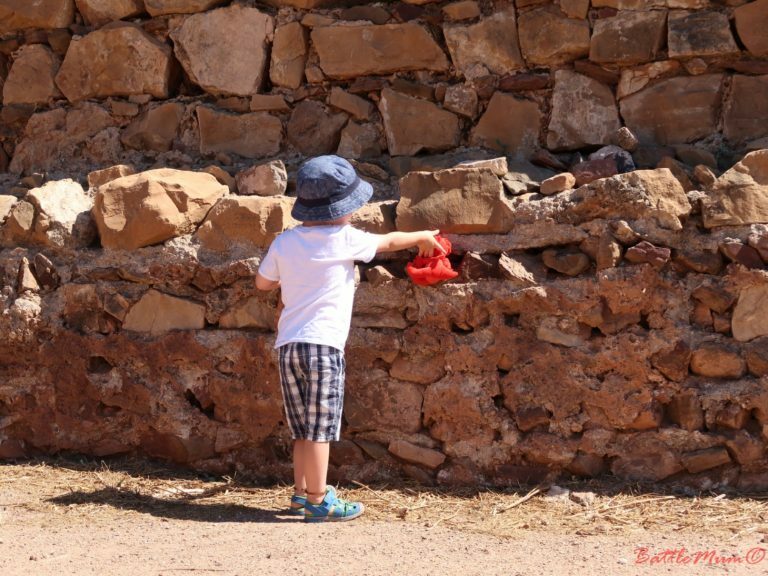 One of the very first castles we visited here in Portugal was at Castro Marim. 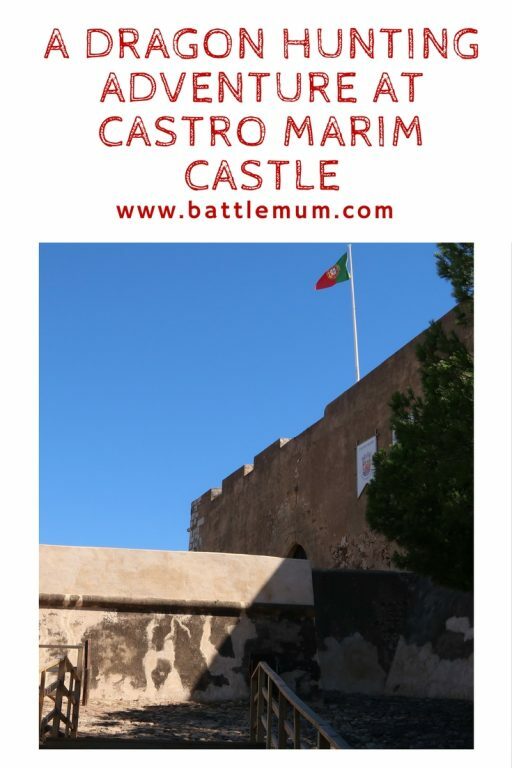 Castro Marim lies in the East Algarve near a town called Vila Real de Santo Antonio and the castle sits on a hill overlooking the Guadiana River which forms the border between Portugal and Spain. 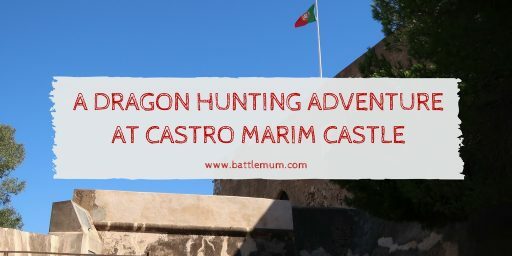 It is only about 20 minutes’ drive from where we now live, and we visited early one Sunday morning in July, before the heat of the day set in with one things in mind – a dragon hunting adventure at Castro Marim. As you know by now, our dragon hunting adventures started while we were living in Wales and when we left Wales for our new life in Portugal, I thought those days might be over. Imagine my surprise when I discovered there are quite a lot of castles in Portugal and that some are within easy access to us. Portugal was never a country I associated with castles, but I was totally and utterly wrong with that thinking. We haven’t visited many, but our plans will be to work our way through them before and after the heat of the summer. It’s just too hot during July and August to be walking around castles hunting for dragons. 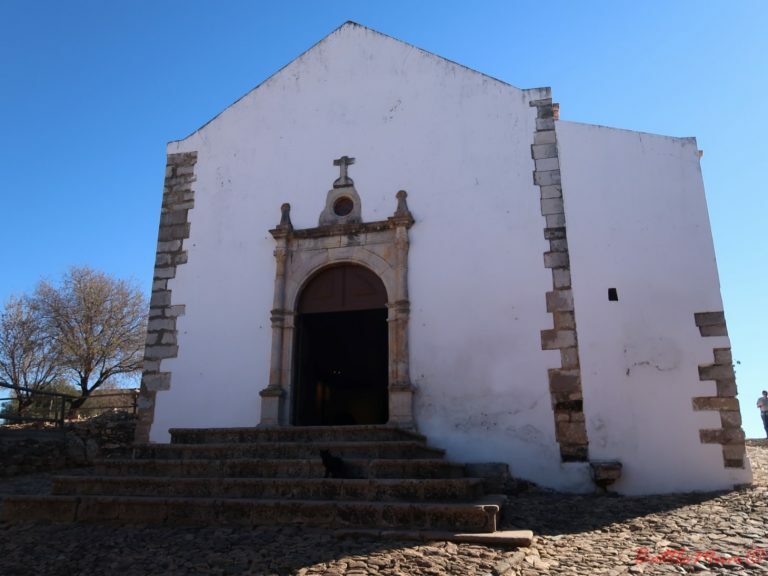 Our dragon hunting adventures in Portugal began in Castro Marim and as mentioned, we visited early one Sunday morning. We parked in the town, not realising there is a municipal car park hidden behind some building at the foot of the castle. We worked our way around the back of little houses until we found the walkway leading to the entrance of the castle. You enter the castle through a gateway and pay your entrance fee of just €1.50 at the ticket office that faces you as you enter. 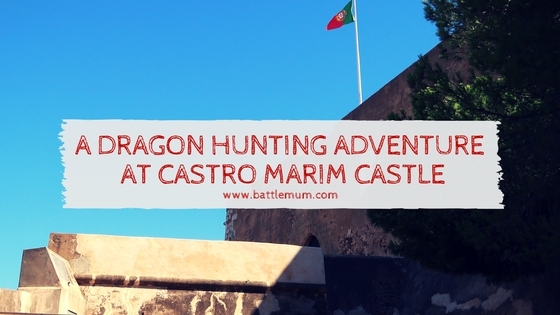 We paid up and then set off to find out if there was a dragon hiding in the grounds of Castro Marim castle. 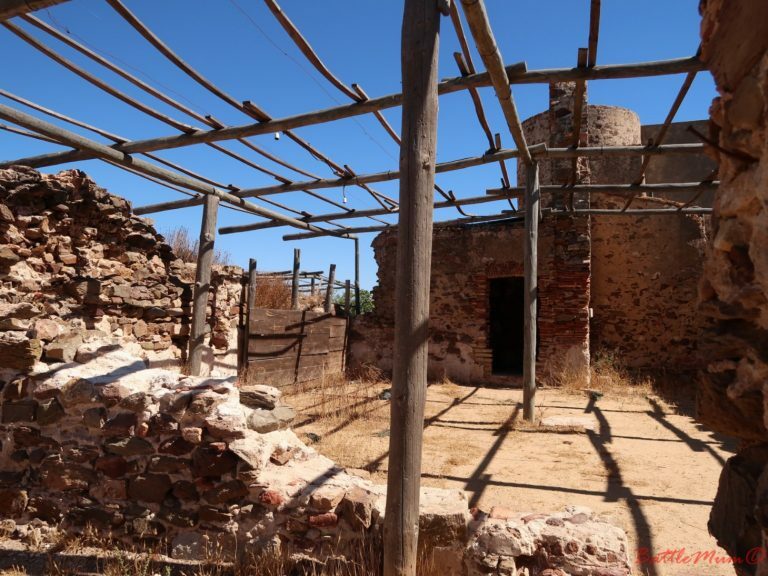 The castle at Castro Marim is a medieval castle sitting on top a hill overlooking both the town of Castro Marim and the Guardiana River. It was once part of the defensive line controlled by the Knights Templar and was a stronghold during the Portuguese Reconquista. 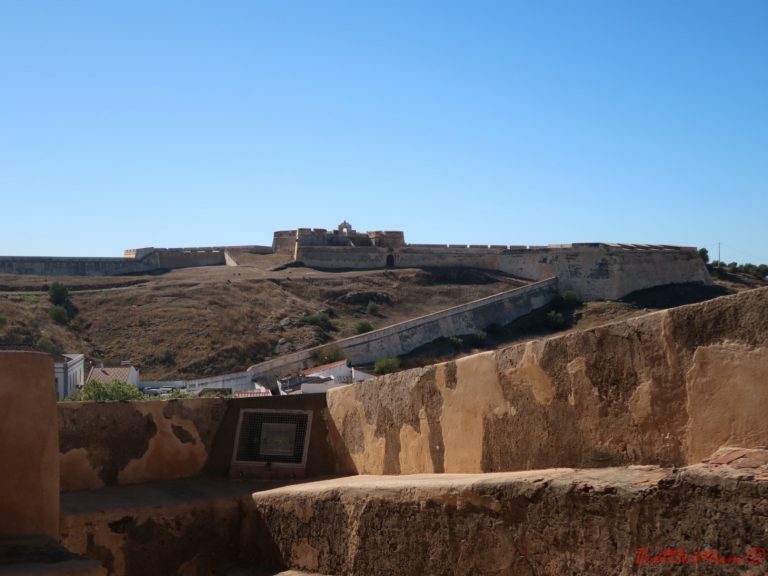 It dates back to the 13th century and fell into disrepair in the 17th century when it was replaced by the fort of São Sebastião, on the opposite hill above the town. Both are a formidable looking sight as you approach the town. We started our dragon hunt in what we believe were the stables of the castle grounds. What we noticed about this castle is it is very old, yet it is easily to imagine what life would have been like in the castle and grounds during medieval times. The footpaths are dirt paths and quite uneven and we followed one from the stables towards one of the main buildings on the castle grounds, all the while searching in holes, around trees and behind walls for a dragon. So far we were having no luck! The main building that remains standing in the grounds would have housed the Lord and Lady of the castle, so to speak. 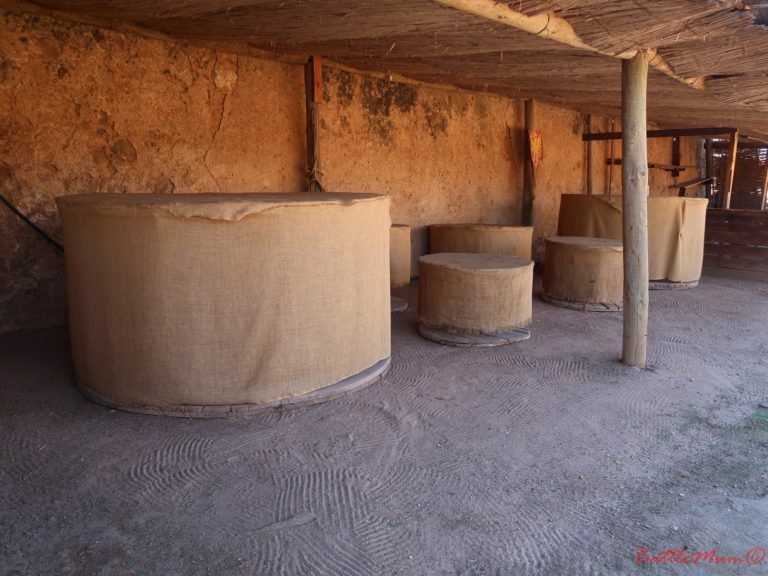 In here we found a small museum with information posters about Castro Marim Castle and artefacts of the castle. We then climbed the stairs to the battlements to enjoy the view across the River towards Ayamonte in Spain and down towards Vila Real. We did have to be careful as there were no guard rails around the battlements and the stairs were very steep and narrow. They must have had small feel in Medieval times! 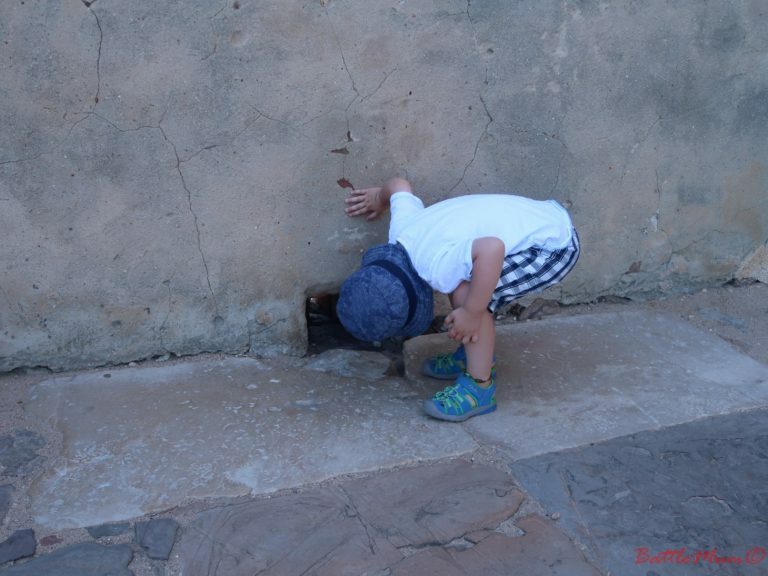 After we left this area, we continued our dragon hunt and we were starting to wonder whether there were ANY dragons in Portugal when we spotted a small one in a hole in a wall outside the main building of the castle. BattleKid was thrilled to find him. We decided to explore a bit more of the castle and Mummy ended up in the stocks! I did get a kiss from my boy before being released. We continued past more ruined buildings, past what was the market and cooking area of the castle, back towards the entrance and the church within the castle grounds. This building is very cool and was a welcome break from the sun which was starting to heat up. However, it is a strange building. While being a church and being lovely inside, it houses an exhibition of torture equipment and displays from the times of the Spanish Inquisition. 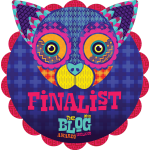 I found this most odd, and we didn’t linger, especially as we had BattleKid with us. 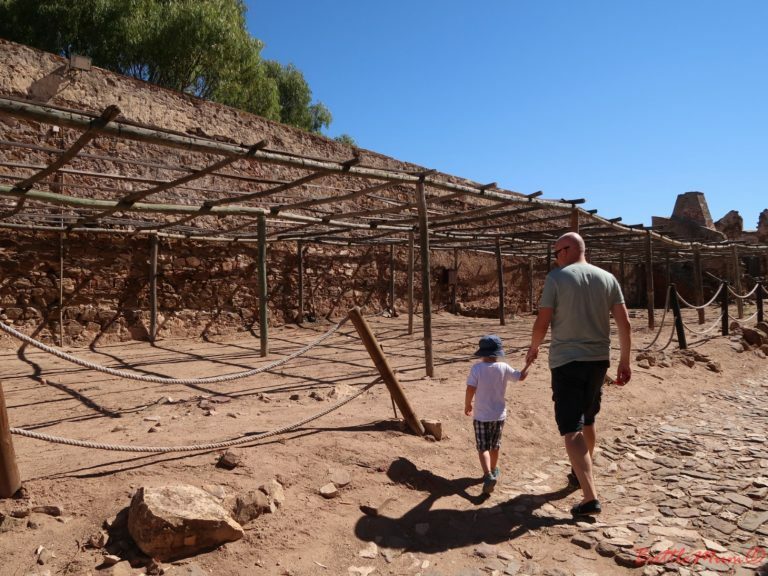 A final visit to the gift shop within the ticket office to buy some Castro Marim rock salt and our first ever dragon hunting adventure in Portugal was at an end. 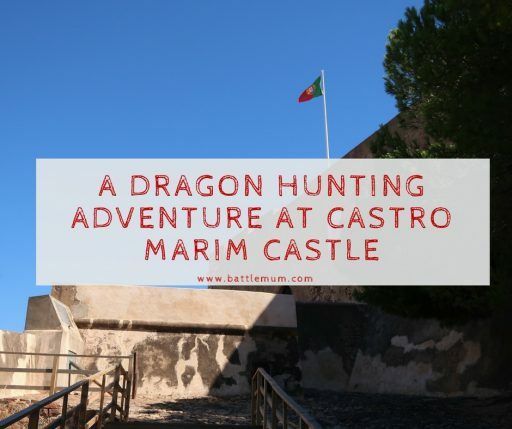 Things to note if you going on a dragon hunting adventure at Castro Marim Castle. It costs just €1.50 per person to enter the castle. Both times we’ve visited we haven’t been charged for BattleKid, but I cannot find information about at what age children are charged from. There are toilets in the main building towards the back of the castle, but these are the only ones at the castle. The castle is not wheelchair accessible and those with a child’s buggy would find it difficult as well due to the rocky terrain within the castle. The castle is open 7 days a week from 9am to 5pm. A municipal car park can be found below the castle which is hidden from the main road through town and this gets very busy on a Saturday when there is a market held in this area of town. There is a gift shop in the ticket office selling various souvenirs. There is very little shade in this castle, so bear this in mind if you are planning a visit during the hot summer months. The Fort of São Sebastião on the opposite hill is not open to the public, although you can walk around the outside of the fort walls. 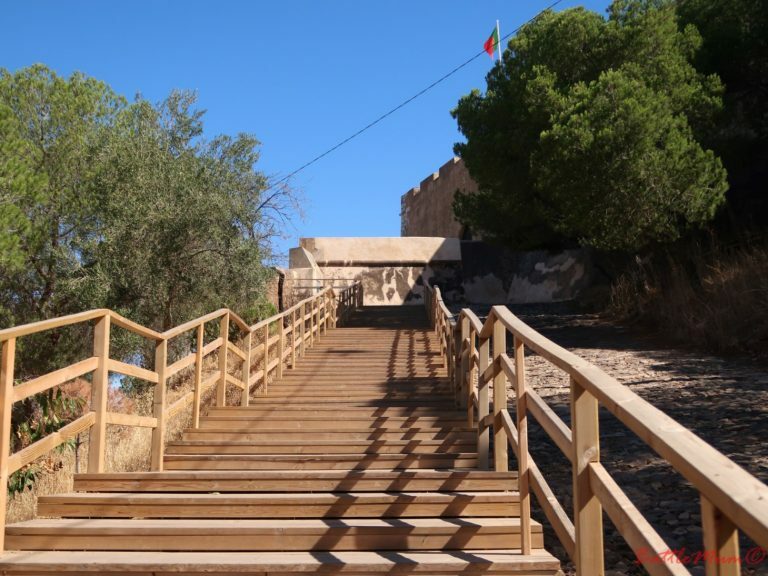 If you happen to be visiting the area of Castro Marim, you could time your visit to coincide with the Medieval Festival held in the castle every year at the end of August. We missed it last year due to being on our two-week USA road trip, but we plan to visit it one year when we are not away. You can hire costumes, and if you arrive in medieval dress you may be given free entry to the festival. 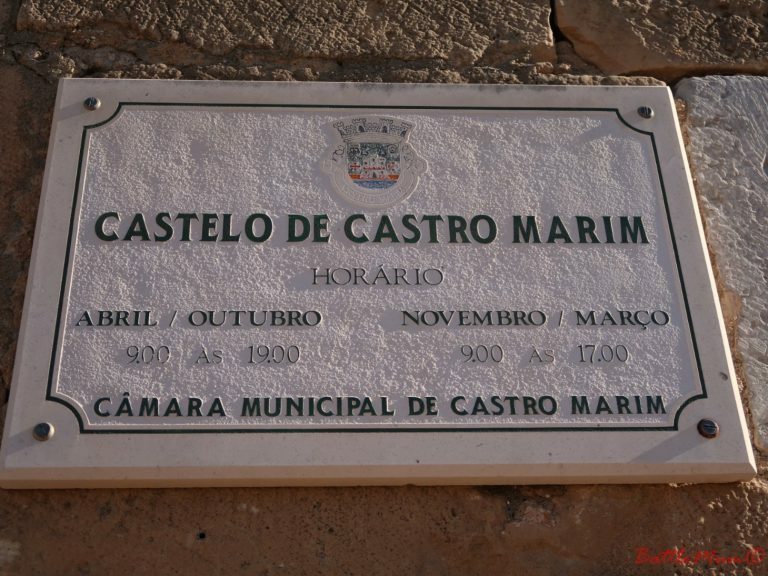 Castro Marim castle is nice to visit but it won’t take you more than an hour or two to see everything. I think it’s a castle to visit along with a lunch break in the town, or if you are visiting Vila Real de Santo Antonio. 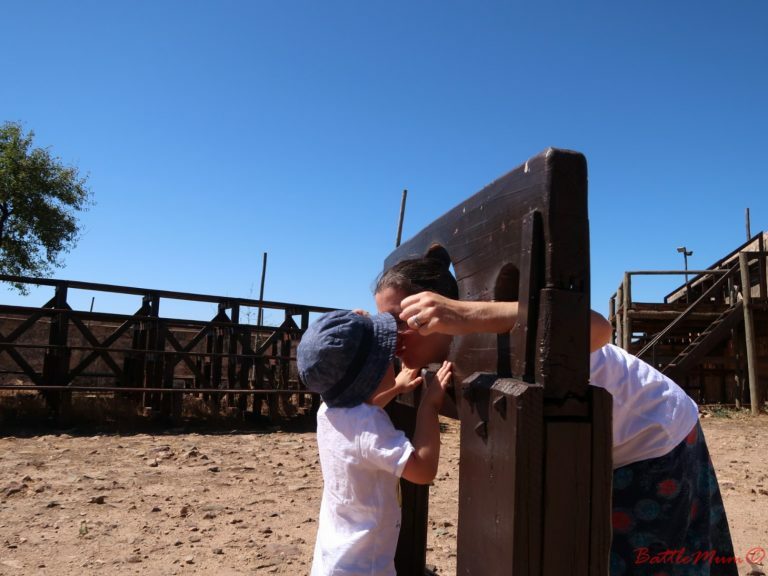 We returned to Castro Marim with my parents for a second dragon hunt in November and it was a very pleasant day. Have you been dragon hunting yet? I love that you turned this visit into a dragon hunting adventure and what a castle! Such an affordable entrance fee too! Wow I am so jealous of the blue skies and warm weather as it is so cold here in the UK at the moment. Sadly, we have never been dragon hunting but it sounds like fun and that looks like a wonderful place to explore. I wouldn’t have associated Portugal with castles either – more like beaches and golf courses. That looks like a great day out. It’s incredible walking around places like this and imagining what has happened over the years it’s been standing! I haven’t visited a castle in years! This looks like it was a lot of fun. I think you’re right in waiting before and after summer to explore the castles – I can only imagine how hot it would be! Thanks for sharing! Dragon hunting looks so much fun! We need to try this on holiday as there is a castle at Lorca. That looks like fun! I could have seen myself looking for dragons when I was a kid! Good to know there are quite a number of castles in Portugal. I have never been to Portugal but want to one day. Look at the blue sky! Makes me almost want to cry since we haven’t got a blue sky in the UK for well over an entire year! I am already obsessed with castles and have uncovered all the UK ones. I should branch out the country and start checking out the ones in Europe! Thanks Laura. Yes, you’ve had a crazy amount of snow recently. And I can definitely recommend Portugal haha! That’s on the agenda for our road trip in Ireland at the end of the month. I’ve got a post coming up about our forthcoming trip in which I list the castles we’re hoping to visit. Blarney is a definite. I love this idea of going dragon hunting, although my gang may be too old already for this! They all love castles and we often visit some, especially when we’re in France. Oh thank you for that tip. We’ll definite put that on our to-do list for when we venture north!